“The Circuit: The Other Side of the American Dream,” aimed to explore the flip side of what we commonly consider to be the American dream. Teachers encouraged students to consider the plight of migrant workers in America and to examine issues issues related to immigration through a number of engaging, hands-on workshops. We addressed worker safety, family identity, and the ethics behind current immigration law. The half-day of activities concluded with a Skype author visit from Jiménez where students could ask questions and receive feedback from the author himself. Francisco Jiménez immigrated with his family to California from Tlaquepaque, Mexico, and as a child, he worked in the fields of California. 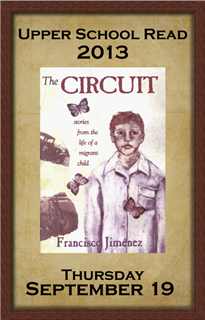 Jiménez’s semi-autobiographical book, Cajas de Cartón, was published in 1997 and later translated into The Circuit. The book won many awards from literary critics and social justice groups. Along with two other titles in the trilogy (Breaking Through and Reaching Out) Jiménez’s work has become a staple in classrooms nationwide, and has even been translated into Chinese and Japanese. Francisco Jiménez is currently a Professor in the Department of Modern Languages and Literatures at Santa Clara University. He received his B.A. from Santa Clara and an M.A. and Ph.D. in Latin American literature from Columbia University. He has published and edited several books on Mexican and Mexican American literature, and his stories have been published in over 50 textbooks and anthologies of literature. Source: “Dr. 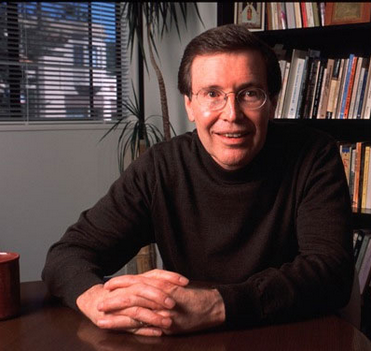 Francisco Jiménez: Short biography.” Santa Clara University. 2011. What is the Upper School Read? All faculty and students grades 9-12 share the common intellectual experience of reading over the summer to prepare for an engaging day during the first weeks of the new academic year. We explore the background, themes, genre, etc. through interactive sessions planned by teachers and students. Spending the day together in mixed grade levels encourages community and builds knowledge while strengthening Severn’s mission of fostering scholarship in a community where adults model these qualities. Contact Ms. Fuller, Upper School Head, or Ms. Carrington, Director of Library Services, if you are interested in learning more.